How Link Your Local (Philippines) Bank Account to Your PayPal Account? PayPal is the world’s leading alternative for using credit and debit cards directly into internet transactions. It’s also relatively safe since you will not need to expose your credit card number and some important personal information. PayPal is also used for receiving payment online. I remember myself when I applied for an online job; I was required to have a PayPal account. The problem before is no bank here in the Philippines allows direct transfer of funds. Anyway, that was BEFORE! NOW you can easily add and withdraw funds to your PayPal account using a local (Philippines) bank account. As far as I know, only Unionbank offers direct fund transfer from your credit card or debit account to your PayPal account. It’s very easy, just set up an account with Unionbank. For debit cards, you can either have an e-wallet or an EON account. I recommend EON account since it requires zero maintaining balance and just 350 maintaining fee per year. How to connect to your Union (EON) Account to Your Paypal Account? Here are a few simple steps you must do. 2. Go to the notification section (at the right side). 4. Fill up the form. Choose “Visa” on the card type section and register your “card number”. According to Unionbank, it will take up to 5 banking days before you receive your 4-digit security code in your mail. In my case, after 2 days, I called them at (02)84186 and got my security code. 5. 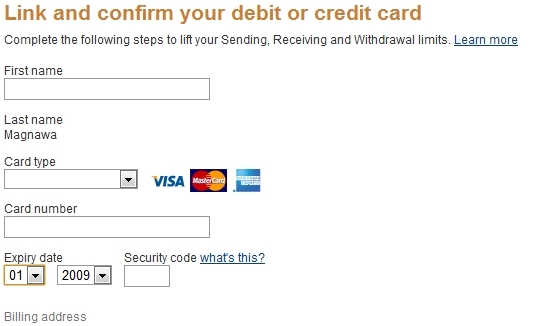 After getting the security code, go back to PayPal and enter the code in the form below. Please take note that PayPal will take 1.95 dollars (200 pesos) upon linking your card. This will be automatically be credited to your PayPal account. 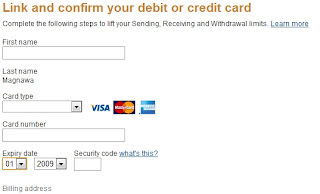 After completing these five easy steps, you can now enjoy the convenience of PayPal. Enjoy! Thank you for this thread. Pinoys working in some PTC sites told me that this is the one they use instead of others. Just received my check for $500. So I show them a video of myself getting paid over $500 for participating in paid surveys to set the record straight once and for all. LOOKING FOR A JOB? WHERE DO YOU GET THE NEWS? Earn Money Online by Making a Knol! How to Book Tickets at cebupacificair.com?